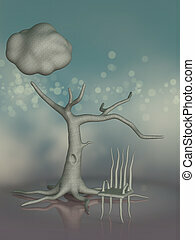 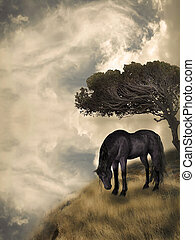 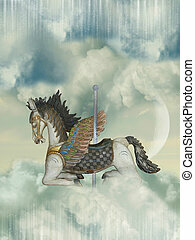 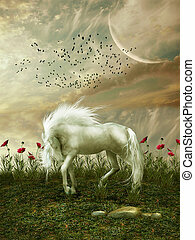 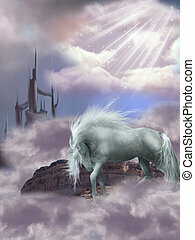 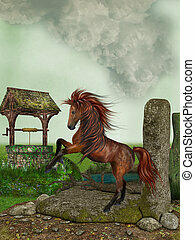 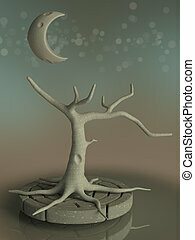 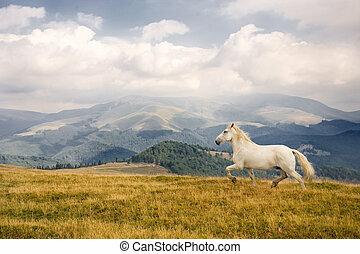 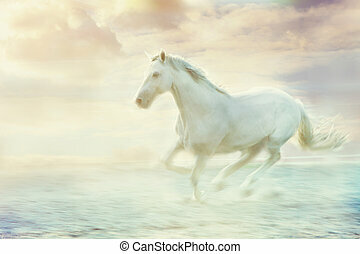 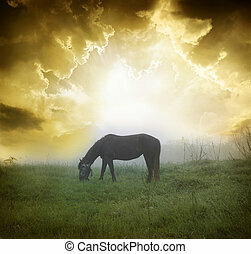 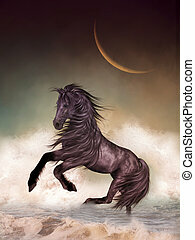 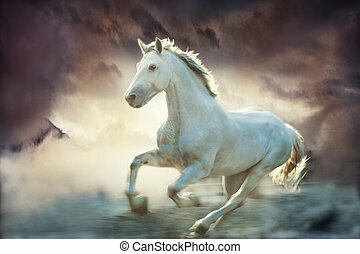 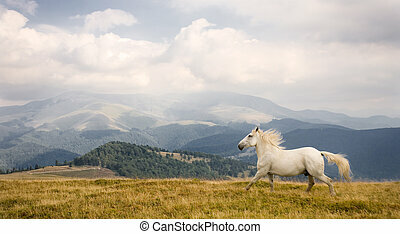 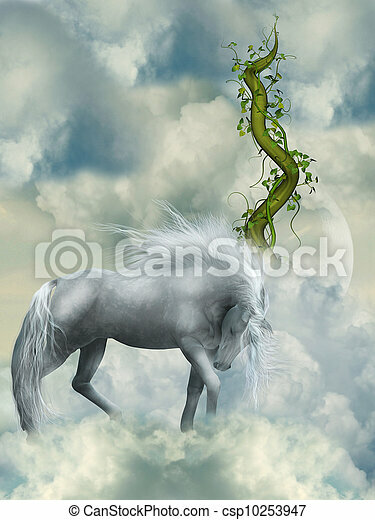 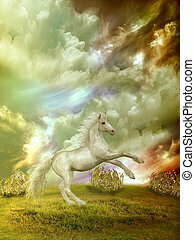 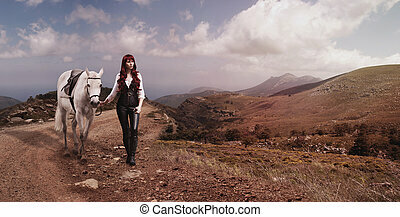 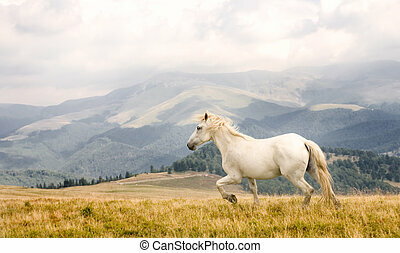 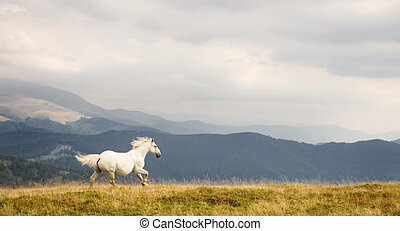 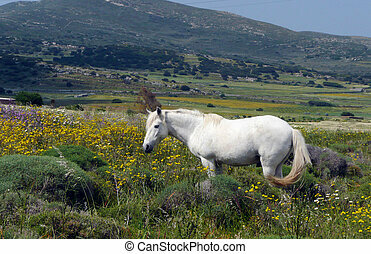 Fantasy white horse in the sky with green branch. 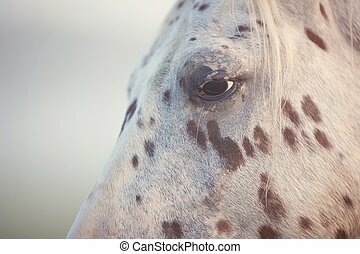 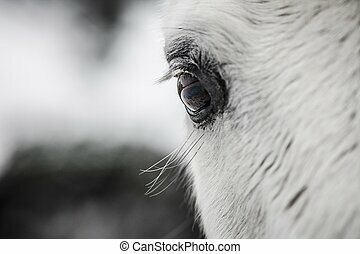 Close-up picture of the eye if a white horse. 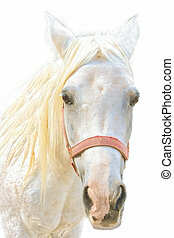 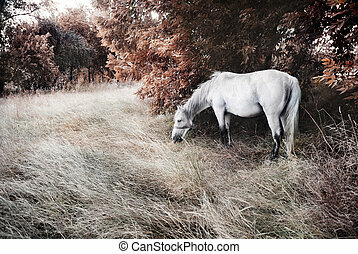 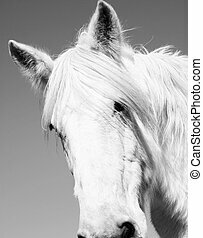 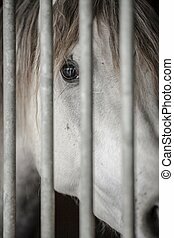 portrait of a young white beautiful, gentle horse, a family favorite.